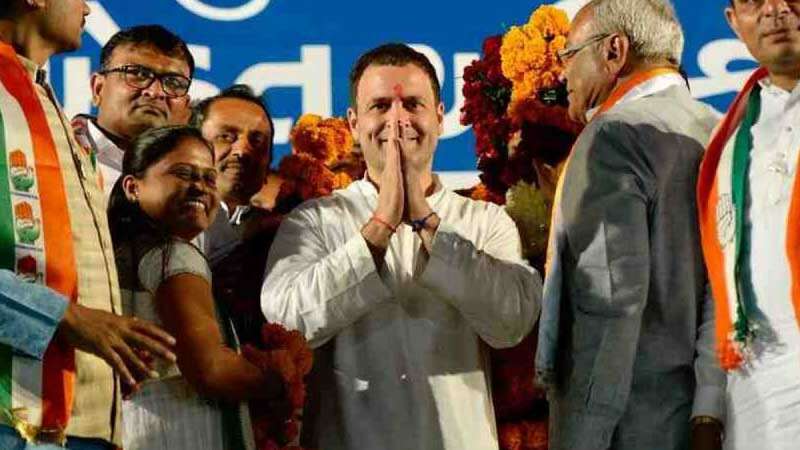 Ahmedabad : Congress vice-president Rahul Gandhi on Thursday concluded his two-day tour in poll-bound Gujarat with a promise to waive-off farmers’ loan and also free college education in government schools if his party comes into power. Taking a dig at Prime Minister Narendra Modi, Rahul Gandhi said he waived off loans only to benefit his industrialist friends. "Modiji waived loans worth Rs 1.25 lakh crore of his five-ten industrialist friends, but Modiji and (Finance Minister Arun) Jaitleyji say that it is not their policy to waive loans of farmers when they ask for it. "Modiji talked for 22 years about farmers, but you have not got anything, your land has been taken away, your water is diverted to industrialists, and you do not get crop insurance," Rahul Gandhi said. "We make this promise to you that we will frame a policy within 10 days of forming a government in Gujarat to waive your loans," he added. He also tried to woo the voters via education; Mr. Gandhi promised free education at government schools and a fee reduction of up to 80 percent in other institutions. "We will offer free education in government-aided colleges which are given money and aid by the government. (We will) reduce by 80 percent fees (in other colleges)," he said. The 14th Gujarat Legislative Assembly election, 2017 is scheduled to be held on 9 December 2017 and 14 December 2017.